Everyone keeps asking where our favorite stop this summer was, and without a doubt I have to say MENORCA! I think mostly because it was unexpectedly amazing. 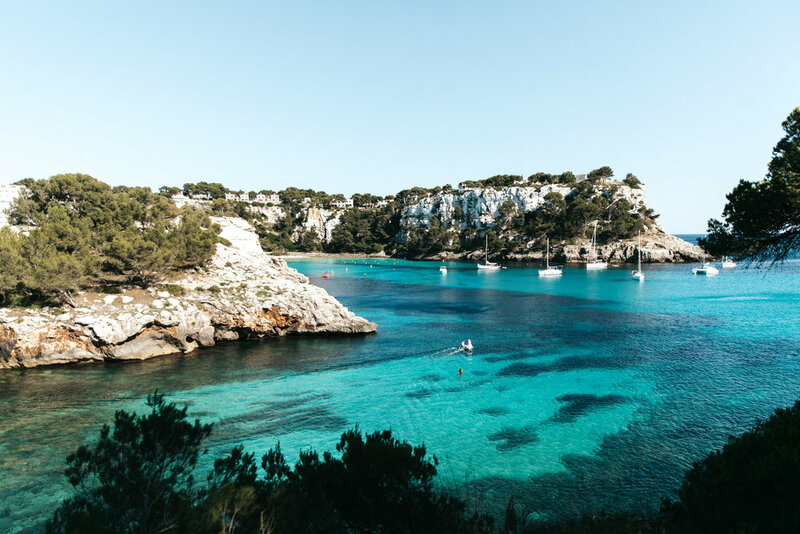 We weren't sure what there even was to do there, but Menorca surprised us repeatedly with it's incredible beaches, beautiful culture, and quiet towns. Our only regret is that we didn't stay longer. We were there for five days and had already booked our plane ticket, otherwise I could've definitely stayed a few more days! There is so much to do and we didn't even touch the east side of the island. Lucky for us we got to work with a few hotels during our trip! We stayed at Ses Sucreres, Hotel Tres Sants, and Biniarroca. They each had something beautiful and unique to offer, but Hotel Tres Sants was our favorite because of the rooftop view and underground pool! Special thanks to The Perfect Hideaway for arranging all of this for us. Our first adventure was visiting Son Saura and Cala des Talaier. 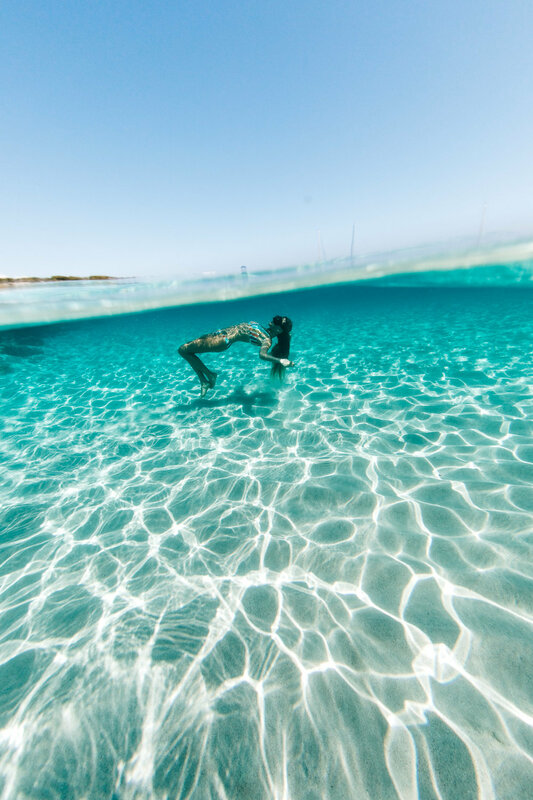 These are beaches with some of the most incredible crystal clear blue water I've ever seen! We spent some time laying out in the sun and snorkeling at Son Saura which was a little more crowded but still beautiful. Then we walked to the next beach (about a 30 minute walk) and were blown away by the colors we saw! It really is THAT blue. We did a little cliff jumping and snorkled some more. It felt like a swimming pool it was so clear. All images edited with my filters! 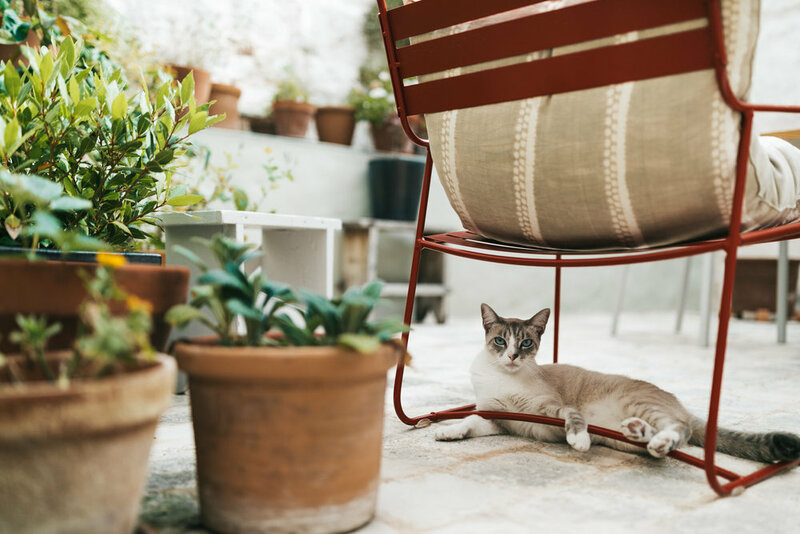 Here's some photos from our stay at Ses Sucreres! The next day we headed over to Ciutadella which is on the west side of the island! It's such a rad little city with red roof tops and white buildings. The ocean is of course beautiful turquoise and there's so much history in this little corner of the world. I had an awesome experience doing my own family history, actually! My mom's side of the family is Menorcan. They settled in Florida way back when and there's still a Menorcan community in St. Augustine and Jacksonville. Turns out I have quite a few ancestors that were born and raised right here in Ciutadella! We spent one morning in the archives at the Catholic church and I was able to add 5 names to my family tree. It was such a special experience and I felt like my ancestors were guiding me to find out about them. This whole trip I felt closer to my ancestors as I learned about the history and culture of the island! We explored near the ocean and watched the sun set from the rooftop of our hotel which was one of my favorite hotel views ever! The city was preparing for a huge festival called St. Joan where they parade through the streets on black horses. We're pretty bummed we missed it but the excitement in the air was still magical! The next morning, after spending some more time doing family history, we stumbled into a surf shop and started talking with the owner. It turns out there's surfing in Menorca and in the winter the waves actually get pretty big! There was a small swell that day so we canceled all our plans and Bryant rented a board and we went up north. The beach was beautiful and very different than the ones down south. The waves were pretty dang tiny but Bryant was loving it. We'll have to come back in the winter! 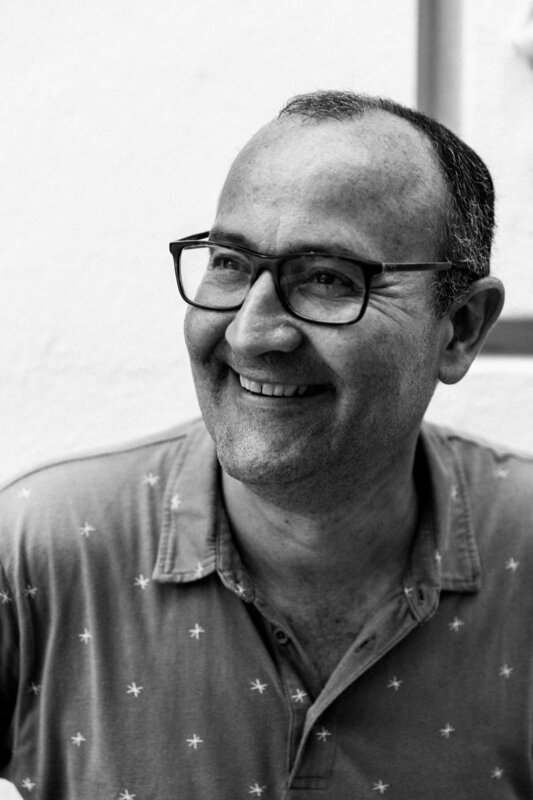 It was hard to leave Ciutadella because of the amazing people we had met! I seriously can't wait to go back. Everyone was so kind and friendly and I fell in love with the people there. On our last day I was actually pretty sick and feeling tired. I didn't want to leave the house but I'm SO glad I did because we ended up hiking to the most beautiful little cove I've ever seen in my life! Again, I couldn't believe the color of the water! Mind = BLOWN. 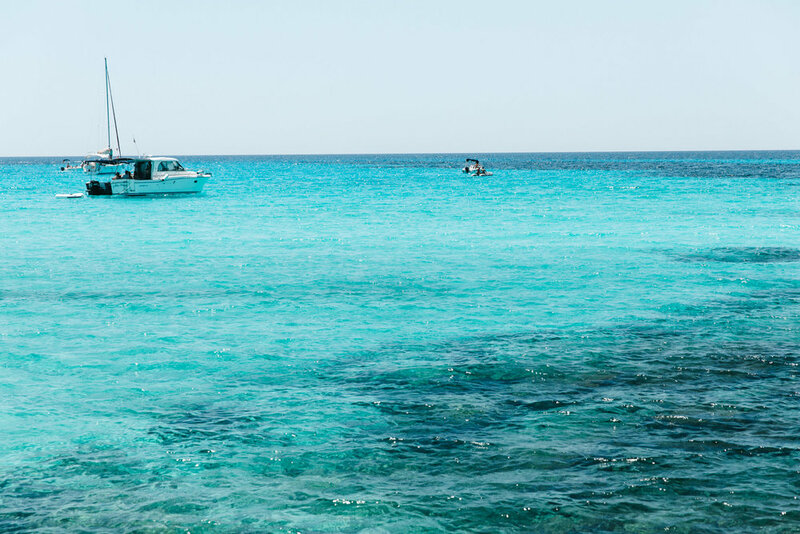 If you find yourself on Menorca definitely head to Cala Macarelleta! 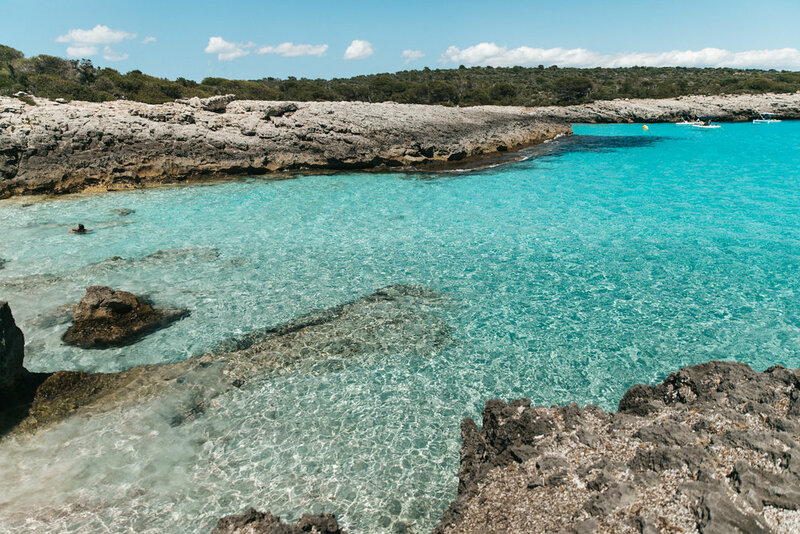 If you need any more convincing of why you should visit Menorca, this is it. Seriously go just for this beach. 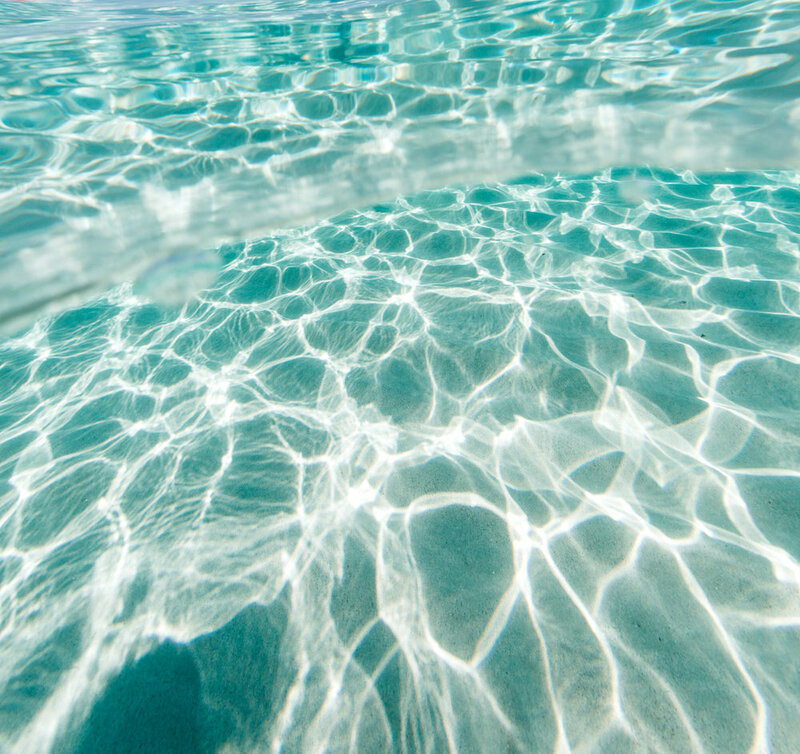 The water was crystal clear, the sand was smooth as silk, and there was something so magical about it all. I can't get enough. We took some photos on our hike and then swam around watching the fish until the sun went down. What a dreamy way to end our time on this lovely little island my ancestors called home. I hope you enjoyed! 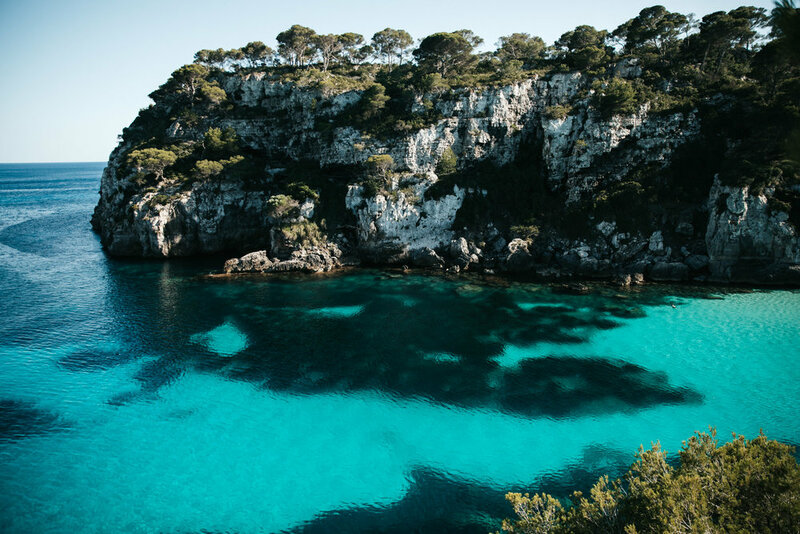 Would you ever go on a trip to Menorca? !